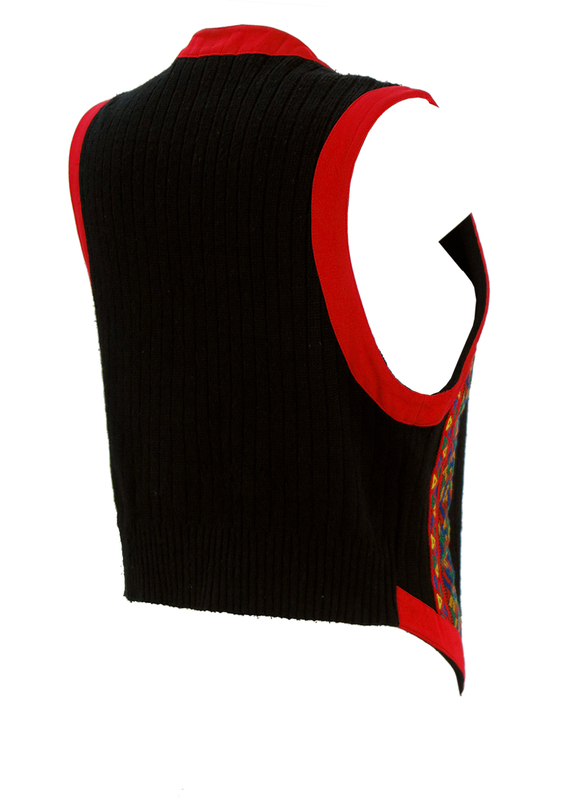 Black rib knit waistcoat edged in a red cotton fabric with harlequin patterned side panels in bold colourways of red, yellow, blue and emerald green. 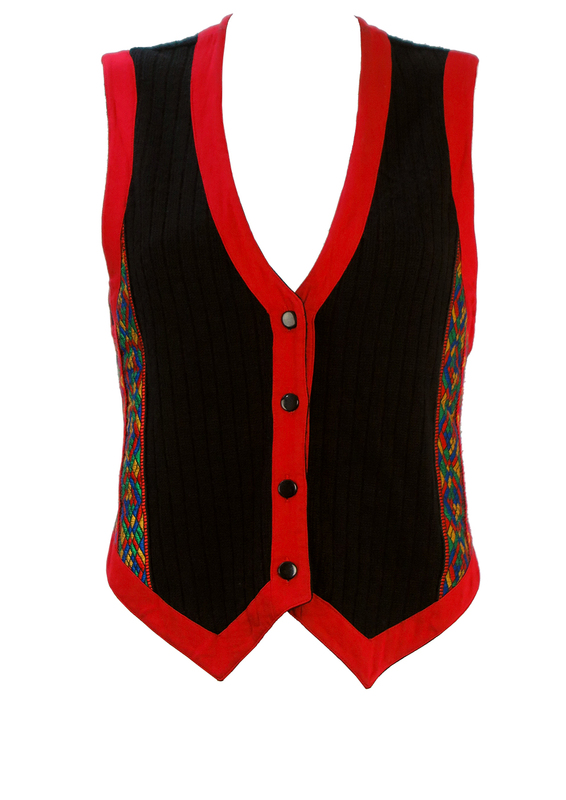 There is no fabric label however the waistcoat has a mid weight woollen feel to it. We have sized it as a size M and measurements have been taken with the fabric non stretched. 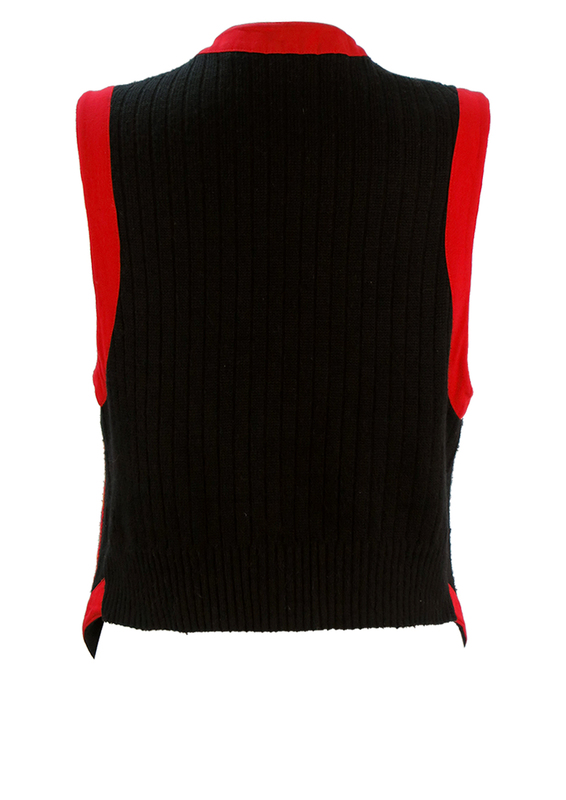 There are a couple of small faint black marks at the shoulder by the neckline on the red edging which is not very noticeable. 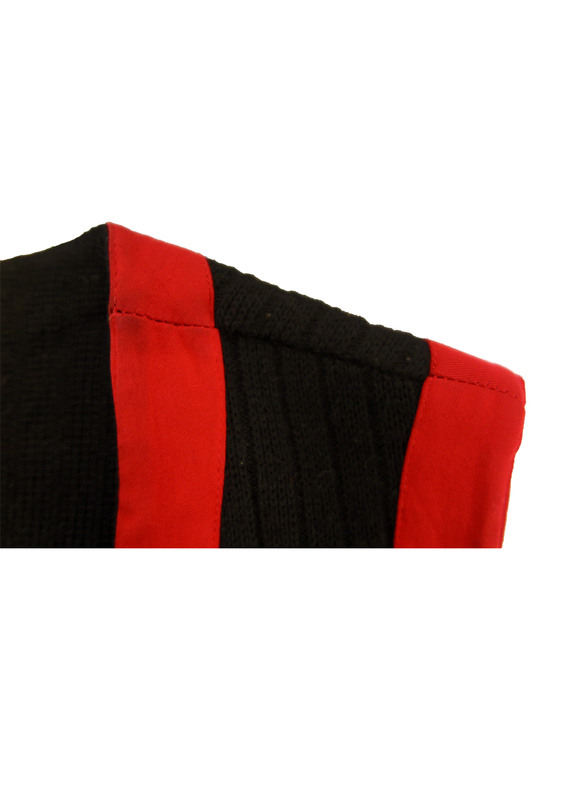 However, we have reduced the garment from £23 – £18 to allow for this. 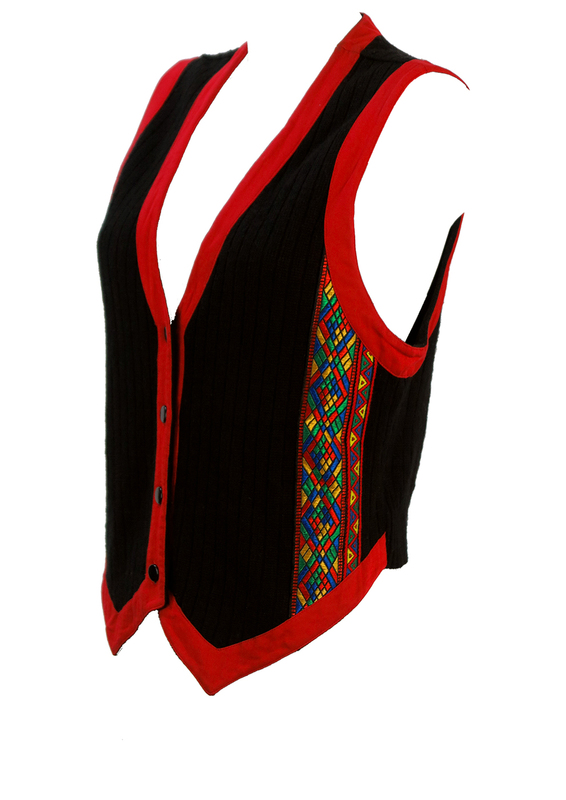 The waistcoat is otherwise in great condition. 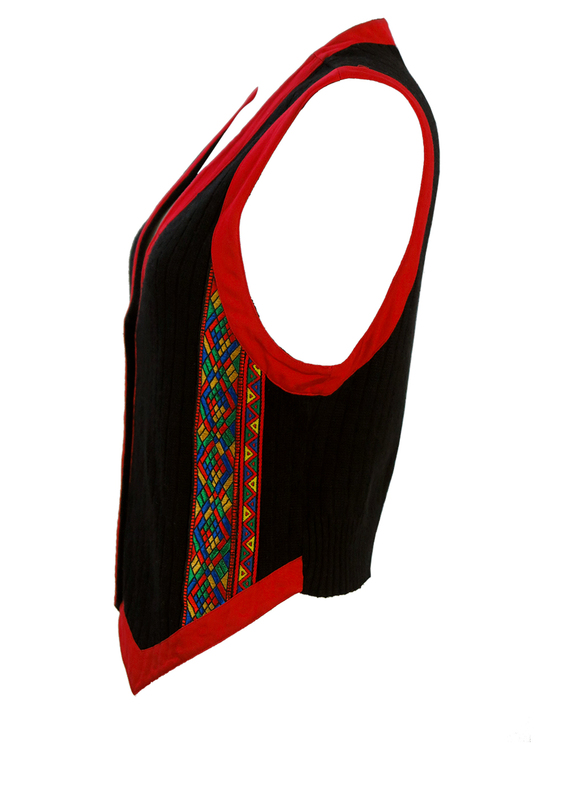 Back – 19", Front – 23.5"